Ian Geraghty is raising funds for Sail 4 Cancer whilst competing in all stages of the Clipper Round the World Race 2011/12 and was one of the crew of Geraldton Western Australia which was hit by a giant wave on Saturday, sweeping away its steering mounting and wheel, some of its communications equipment and injuring four crew members. Please sponsor Ian below - he deserves it after all this!! This began a lengthy rescue operation, as initial plans to parachute US Coast Guard personnel onto the yacht from a C-130 plane, which had dropped additional medical supplies and specialist stretchers onto the yacht, were abandoned due to the weather conditions. Finally the two most seriously injured crew members were transferred successfully onto US Coast Guard cutter Bertholf. 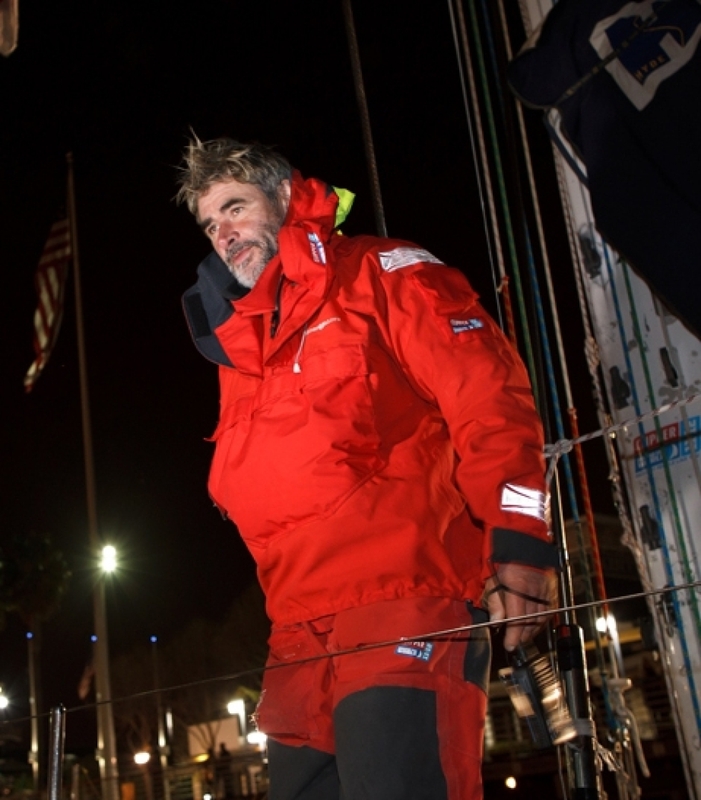 Following a dramatic 48 hours at sea, Geraldton Western Australia, arrived yesterday to a hero's welcome in Jack London Square in Oakland, San Francisco Bay. 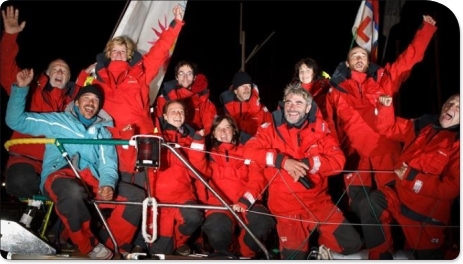 After 30 days at sea the crew and skipper, Juan Coetzer, visibly took a sigh of relief as they sailed under the Golden Gate Bridge in San Francisco Bay around 0800 UTC. Yesterday saw crew members Nik Brbora and Jane Hitchins medevaced from the boat onto a US Coast Guard vessel and both arrived in Oakland earlier today and were whisked straight to hospital. Nik has been discharged while Jane is remaining in hospital to receive treatment. Upon arriving Juan Coetzer said, "It's been a very long trip, so I am really delighted to be here in Oakland. We had a great reception coming in - with people lined up despite it being the early hours of the morning. 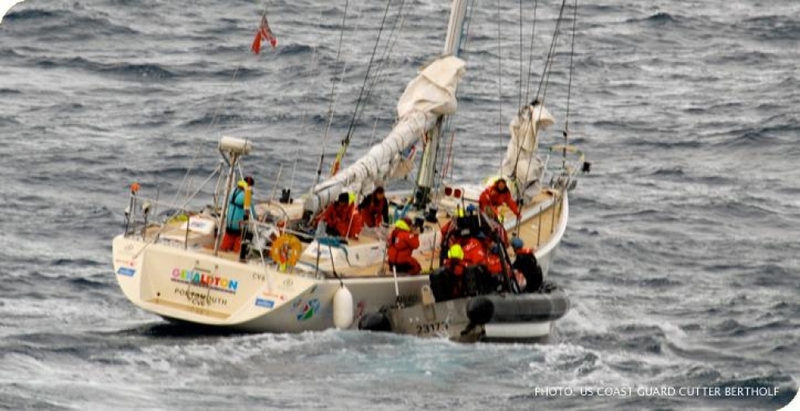 "After a hard and long time at sea, it's great having people cheering as you make an entry. 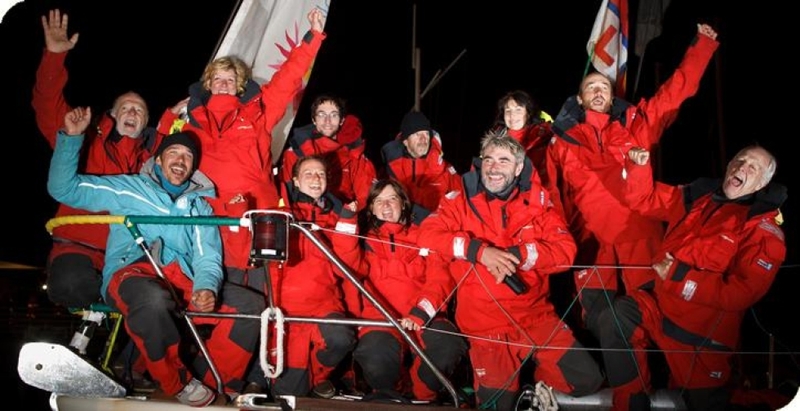 Everyone that has helped us during the incident over the past days have been so friendly and helpful, but for now I'm just looking forward to have a few drinks and then tomorrow we will start getting our boat in order." Ian Geraghty said he was pleased to be on dry land for the first time in 30 days. "The North Pacific has certainly lived up to its billing. It's been nearly five weeks of unrelenting cold, wet and high winds. I was down below, when the last 'monster wave' hit us. Water was just pouring down and everyone was in a complete state of shock once the incident happened. "But we managed to get on with it and. The conditions were pretty severe ahead of that. When you are driving the boat at night, it's completely dark you can't see the waves and it's like driving a double decker bus down a motorway blindfolded with no windscreens. Seeing the Golden Gate Bridge was fantastic - it's just great to here and we are pleased to hear there is good news about Jane and Nik."